​Conti Solar, a leading worldwide renewable energy firm, has successfully completed over 229 MWs of commercial and utility-scale solar projects throughout the United States and in select international markets, forging a reputation as the go-to source for optimized solar PV system design and installation. With a highly experienced Engineering, Procurement, and Construction (EPC) services team, the firm is able to identify the most effective strategy for the implementation of each project or portfolio of projects and consistently designs and builds large-scale solar projects with minimal cost, minimal time, and a high return for its project owners. Today, the life cycle of solar projects from early-stage development to commercial operation can span years. These project schedules are often driven by lengthy application and approval timelines for site permitting and utility interconnection, which forces developers to make important engineering and procurement decisions early in the development process. These early decisions, such as array layout, system sizing, and most importantly, equipment selection, are critical to developing the most efficient system, as it is often time-consuming, costly, or at times, impossible to change course later in the development process. The in-house engineering team at Conti Solar provides tailored support to its solar developer customers during the various stages of development, helping them make the most informed decisions for the project by weighing engineering, commercial, and constructability factors along with technology projections for when the project will be constructed. By providing this support, Conti helps its customers streamline project development and avoid costly and time-consuming rework late in the development process. Conti also has significant experience working with developers, utilities, and permitting agencies on late-stage projects to modify and optimize existing project designs that need updating. As an example, Conti Solar recently performed an optimization analysis for one of its developers that added significant value to the project. Conti partnered with the developer to determine the best array design and equipment selection for a project in mid-stage development. Conti’s engineering team evaluated several scenarios for the project using different combinations of racking tilt, panel selection, and inter-row spacing. For each scenario, Conti analyzed the system size, system cost, and annual production/yield, and ran a detailed financial pro-forma for each scenario. The developer chose the best scenario and was able to increase the project value by close to $0.05/watt compared to its original assumptions. 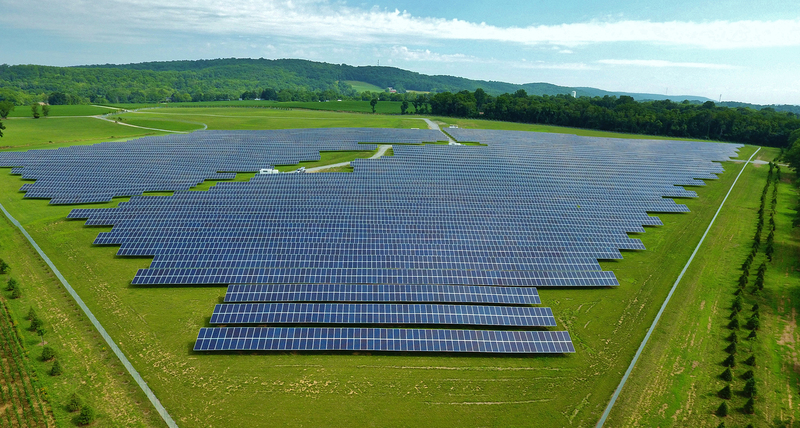 “We’ve designed, built, and constructed over 229 MWs of solar projects nationally and internationally and take the time to engineer and evaluate a project to present the most efficient design that yields the highest investment return for its customers,” says Kevin Magayah, Business Development Manager. Conti can design an optimized solar system that generates the most value for solar developers and project owners.